This reel needs no introduction. First launched in 1936, the Senator Series from Penn has endured the test of time. 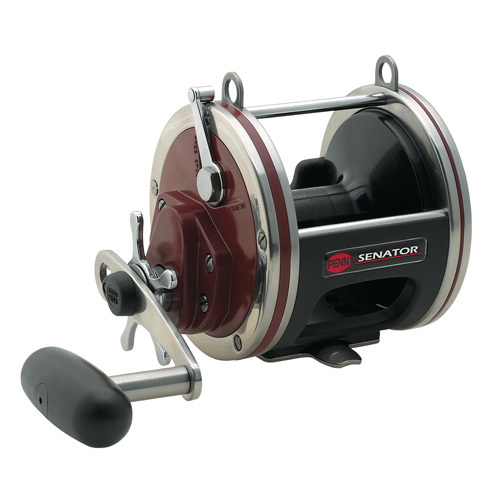 The Senator is world renown for being the most universal, respected star drag reel on the market. Its rugged design allows it to be an offshore workhorse that has amassed more IGFA big game world records than any brand in the industry. Combining the toughness of the legendary Senator reel with higher gear ratios a high speed retrieve, the Special Senator gives serious saltwater anglers the best of both worlds power and speed. So you are prepared whether trolling casting large baits, or bottom fishing.